We here at Abnormal Use have written much about McDonald’s and its history with absurd lawsuits. Of course, much of the discourse centered around the infamous Stella Liebeck hot coffee case and its progeny. As much as we have downplayed its significance, we must admit that the most recent suit filed against McDonald’s makes the Liebeck case look like Marbury v. Madison. According to a report from Eater.com, a California man has filed a class action lawsuit against the fast food chain seeking $5 million in damages over purportedly defective mozzarella sticks. Kind of makes burns from a cup of hot coffee sound like child’s play. Howe believes McDonald’s cut costs by using a starch filler to comprise 3.76 percent of the “cheese,” and, thus, has engaged in deceptive practices. For the record, McDonald’s denies the allegations, stating that the mozzarella sticks are made with “100% low moisture part skim mozzarella cheese.” Whatever that means. Regardless of the genetic make-up of the McDonald’s mozzarella sticks, the real question is whether anyone can actually be deceived by their contents. Last we checked, the mozzarella sticks are a new item made a part of the “2 for $2” menu. 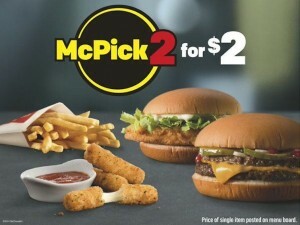 In layman’s terms, a customer can get mozzarella sticks and a double cheeseburger for $2. Federal standards for identifying “mozzarella” aside, don’t expect the finest organic, farm-to-table ingredients in dollar cheese sticks. And, if you really think McDonald’s is an appropriate destination to satisfy for mozzarella craving, don’t expect anyone to fork over $5 million when they don’t live up to your expectations.